HOTEL CUTOFF – 10/14/18 – THCA BLOCK IS FULL! 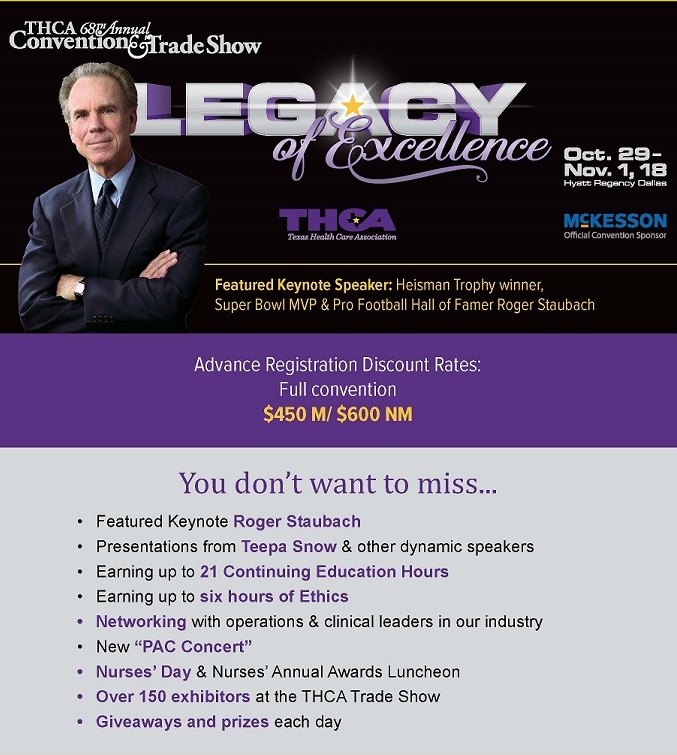 *Associate Business Members should register thru the Business Registration & Sponsorships link above. 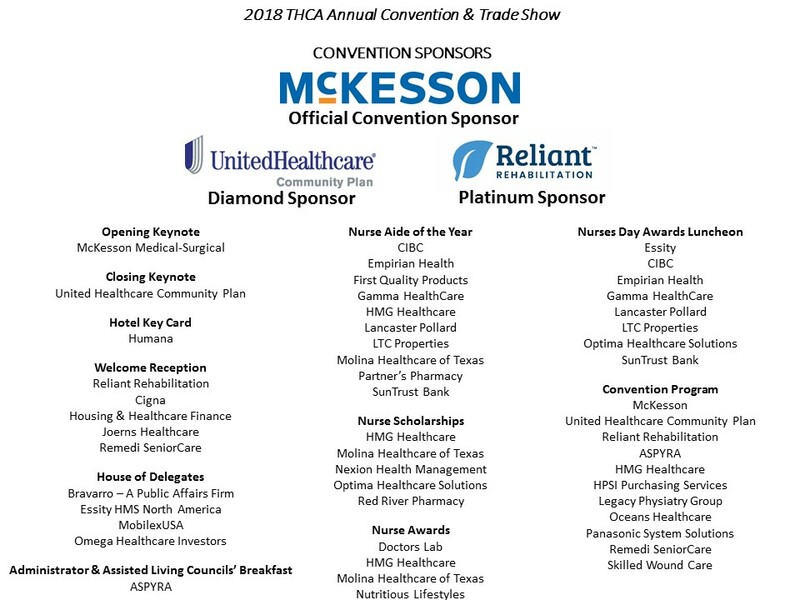 All THCA Associate Business Members are encouraged to support the various sponsorships associated with this convention. Please take a moment to View Convention Sponsorships and Descriptions. Contact Gina Muniz for additional information and/or assistance.